RALLYRally” na verwagting vir wat op 15 Januarie. ANG TANGING kahaliling at pag-asa ng bansa AY Elephant NG BSP! MGA TAO AY LANG FED UP NA MAY Congress, OTHER Regional PARTIDO AT BJP! Samakatuwid upang makuha ang master KEY! BUONG TAO MAYROON SA Gisingin MAY kamalayan! PARA SA KANILANG Welfare, kaligayahan at kapayapaan! AS Final GOAL upang makamit ang walang hanggang lubos na kaligayahan! Grand pagtulung-tulungan pagtulung-tulungan” slated para sa Enero 15. Maghanda upang magpakita ng pag-unlad sa pagpapatibay ng base BSP ay kabilang sa mga ‘LAHAT lipunan‘ at maghanda para sa “Mag-ingat malaking Grand pagtulung-tulungan pagtulung-tulungan“ slated para sa Enero 15. L’ALTERNATIVES SEULEMENT ET ESPOIR DE LA NATION EST DE BSP ELEPHANT! Les gens sont FED UP avec le Congrès, d’autres parties régionales et BJP! DONC POUR SAISIR LA CLÉ MASTER! PERSONNES entier ont pour réveiller avec la conscience! Leur bien-être, bonheur et la paix! BUT AS FINAL POUR ATTEINDRE ETERNAL BLISS! Préparez-vous à montrer les progrès réalisés dans le renforcement de la base de BSP parmi les ‘ensemble de la société »et se préparer à“ ATTENTION ENORME GRAND RALLYE Rallye “prévu pour le 15 Janvier. O único alternativas e esperanza da nación está de elefante BSP! A xente está só FED UP co Congreso, OUTRAS PARTES REXIONAIS E BJP! Así, para capturar a tecla MESTRE! Pobo enteiro que espertar coa conciencia! Seu benestar, felicidade e paz! Obxectivo como final para acadar Felicidade Eterna! Prepare-se para amosar o progreso no fortalecemento da base de da BSP entre o “toda a sociedade“ e prepararse para “AVISO ENORME GRAND Rally Rally“ previsto para o 15 de xaneiro. ONLY ALTERNATE და იმედი ერი დუეტი OF BSP! PEOPLE უბრალოდ ყელში CONGRESS, სხვა რეგიონული პარტიები და BJP! აქედან გამომდინარე ხელში MASTER KEY! მთელი ხალხი უნდა გაღვიძებისა WITH ცნობიერების! მათ კეთილდღეობას, ბედნიერებას და მშვიდობას! როგორც საბოლოო მიზანი, რათა მივაღწიოთ დავიმკვიდროთ! DIE EINZIGE WECHSELN UND HOFFNUNG DER NATION IST DER ELEFANT BSP! Die Leute sind einfach FED UP WITH CONGRESS, ANDEREN PARTEIEN UND REGIONALE BJP! Damit zu CAPTURE THE MASTER KEY! GESAMTE Menschen haben mit AWAKEN HEIT! Für ihr Wohlergehen, Glück und Frieden! AS FINAL Ziel zu erreichen ewige Glückseligkeit! Machen Sie sich bereit, um die Fortschritte bei der Stärkung der BSP-Base unter den “ganzen Gesellschaft“ zeigen, und die Vorbereitungen für “ACHTUNG HUGE GRAND RALLY Rally” für die am 15. Januar geplant. ΤΟ ΜΟΝΟ ΕΝΑΛΛΑΚΤΙΚΟ ΚΑΙ ΕΛΠΙΔΑ ΤΟΥ ΕΘΝΟΥΣ ΕΙΝΑΙ ΕΛΕΦΑΝΤΑΣ ΤΗΣ BSP! ΑΝΘΡΩΠΟΙ ΕΙΝΑΙ ΑΠΛΑ FED UP ΜΕ ΣΥΝΕΔΡΙΟ, ΑΛΛΑ ΜΕΡΗ ΚΑΙ ΠΕΡΙΦΕΡΕΙΑΚΕΣ BJP! Ως εκ τούτου, για να συλλάβει το KEY MASTER! ΟΛΟΚΛΗΡΗ ΑΝΘΡΩΠΟΙ ΕΧΟΥΝ να ξυπνήσει ΜΕ ΣΥΝΕΙΔΗΣΗ! ΓΙΑ ΤΟΥΣ ΠΡΟΝΟΙΑΣ, ευτυχία και την ειρήνη! AS τελικό στόχο την επίτευξη αιώνια ευδαιμονία! GRAND RALLY Ράλι” πλακόστρωτο για στις 15 Ιανουαρίου. SÈLMAN ranplasan an, epi nou swete nan peyi a se ELEPHANT OF bsp! Moun yo se jis fed anlË ak Kongrè a, lòt pati rejyonal ak BJP! Kon sa pran kle a MASTER! MOUN KI TOUT GEN POU leve KI GEN ENFÒMASYON SOU! Pou byennèt yo, bonè ak lapè! AS FINAL OBJEKTIF Pou yo rive nan p’ap janm fini an BLISS! rasanbleman” chache pou sou 15 janvye. 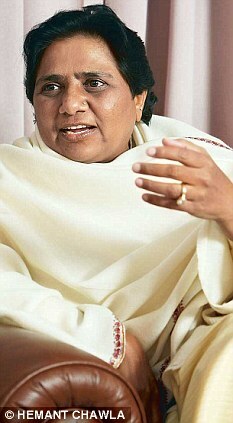 Kadai dayan kuma bege na kasar giwa OF BSP! Mutãnenta suke da JUST ciyar da UP WITH Congress, OTHER Regional jam’iyyun DA BJP! Saboda haka TO kama Jagora KEY! Dukan mutane sun tada WITH sani! Su Welfare, farin ciki da salama. AS FINAL GOAL cimma har abada ni’ima. slated ga Janairu on 15. חלופי ותקוות האומה היחידים היא פיל לBSP! אנשים פשוט נמאס הקונגרס, מפלגות אזוריות אחרות וBJP! ומכאן כדי ללכוד את המפתח ראשי! כל העם צריך להתעורר עם מודעות! מטרה כסופית להשיג אושר נצחי! LUB XWB lwm THIAB KEV CASAB NTAWM lub teb chaws YOG ntxhw NTAWM BSP! NEEG yog cia li pub UP NROG Congress, LWM Regional ob tog THIAB BJP! Li no mus ntes tus tswv TSEEM CEEB! Tag nrho NEEG MUAJ Tsua qhia kom NROG Khiav! Rau lawv Welfare, kev zoo siab thiab kev! AS kawg lub hom phiaj kom ua tau Nyob Mus Ib Txhis BLISS! Grand Rally Rally” slated rau rau Lub ib hlis ntuj 15. AZ EGYETLEN ALTERNATE és remélem, a nemzet elefánt BSP! Emberek csak elege van a kongresszus EGYÉB REGIONÁLIS felekkel és BJP! Ezáltal elfog a mester kulcs! TELJES emberek, hogy felébressze tudatossággal! A jóléti, a boldogság és a béke! Mint végső cél elérése érdekében az örök boldogságot! Készülj fel, hogy előrehaladást mutatnak megerősítésében BSP bázisa között a “Minden társadalom“ és felkészüljenek a “VIGYÁZZ hatalmas nagygyűlés Rally“ pala a január 15-én. Eina varamaður og HOPE þjóðarinnar er ELEPHANT OF BSP! Fólk er bara fed upp með Congress, öðrum svæðisbundnum aðila og BJP! Því að fanga Master Key! Heilu fólk þarf að vakna með vitund! Fyrir þeirra velferð, hamingju og frið! Sem endanlegt markmið til að ná eilífa sælu! Naanị ọzọ NA OLILEANYA nke mba BỤ enyi OF BSP! Ndị fọrọ naanị nri n’Ebe nzuko, NDỊ ỌZỌ mpaghara ọzọ NA BJP! N’ihi ya, wee weghara ỌKÀ AMAOKWU! Dum mmadụ ndidemede E nwere Mmata! IHE HA ọdịmma, obi ụtọ na udo! AS IKPEAZỤ Mgbaru Ọsọ Iji nweta ndu ebighi BLISS! HANYA ALTERNATE DAN HARAPAN BANGSA ADALAH GAJAH OF BSP! ORANG YANG HANYA FED UP DENGAN KONGRES, PIHAK DAERAH LAIN DAN BJP! MAKA UNTUK TANGKAP THE MASTER KEY! ORANG SELURUH HARUS bangun dengan KESADARAN! UNTUK MEREKA KESEJAHTERAAN, HAPPINESS DAN PERDAMAIAN! TUJUAN SEBAGAI FINAL UNTUK MENCAPAI ETERNAL BLISS! Dapatkan siap untuk menunjukkan kemajuan dalam memperkuat basis BSP antara ‘ALL MASYARAKAT‘ dan mempersiapkan diri untuk “HATI-HATI BESAR GRAND RALLY Rally“ dijadwalkan untuk pada tanggal 15 Januari. IS É AN ALTERNATE AMHÁIN AGUS HOPE AN náisiún eilifint NA bsp! DAOINE Just FED UP LE CONGRESS, PÁIRTITHE EILE AGUS RÉIGIÚNACHA BJP! Sin d a ghabháil leis an EOCHAIR Máistir! DAOINE AR FAD TAR ÉIS a mhúscailt LE FEASACHT! LENA LEASA, SONAS AGUS SÍOCHÁNA! SPRIOC MAR CRÍOCHNAITHEACHA A BHAINT AMACH síoraí BLISS! RALLY Railí” slated le haghaidh ar an 15 Eanáir. L’UNICO ALTERNATO E SPERANZA della nazione è ELEFANTE DI BSP! Persone sono solo stufi CONGRESSO, ALTRE PARTI REGIONALI E BJP! QUINDI PER CATTURARE LA CHIAVE MASTER! PERSONE INTERE HANNO risvegliare CON CONSAPEVOLEZZA! Per il loro benessere, felicità e pace! OBIETTIVO DI FINALE PER RAGGIUNGERE ETERNA BLISS! Preparatevi a mostrare progressi nel rafforzamento della base di BSP tra i ‘tutta la società‘ e prepararsi per “ATTENZIONE ENORME GRANDE RALLY Rally” previsto per il 15 gennaio. communal violence in Uttar Pradesh with the 2002 Gujarat riots. “The poor riot-hit people have been thrown out of the camps and bulldozer was deployed there to destroy their tents. “First the SP government failed to take action against the hate mongers, now it is being inhuman towards the victims. “Same kind of atrocities was inflicted on the Muslims by Narendra Modiled BJP government in Gujarat in 2002″, she said. The BSP supremo also accused the SP and the BJP of creating a communal divide in UP. “The communal violence in Muzaffarnagar and Shamli was a handiwork of the SP and the BJP,” she said. proved that the ruling party was essentially “anti-Muslim”.